Hmmmm . Not sure whether to include the SEUCK games in the overall top 100 which will be built up over the coming months from the different game genres. I have fond memories of SEUCK and produced four games myself as a teenager (Blob, Warrior, Luftwaffe and Billy the Dragon) some of which appeared on the Assassin game disks. I had a wonderful time creating the games and SEUCK games were definitely a main stay of Public Domain libraries. However they were ridiculed in the game magazines, I recall one starting a review with "there is always a sarcastic cheer in the office when the SEUCK loading screen appears". 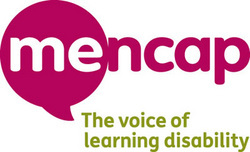 For the time being the SEUCK will not form part of the top 100 but to honour the time spent by fellow SEUCK addicts and to try to show case some good examples I think a page showing the best examples is valid. If you would like to download some of these games then visit the SEUCK Vault. I am currently in the process of making a new SEUCK game and will review the strengths and weaknesses of using SEUCK to create games. In the meantime I have constructed a top 10 recommended SEUCK to play. 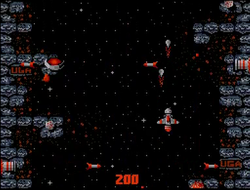 A wonderful WW1 shoot em up which was a included as a cover disk on Amiga Power. 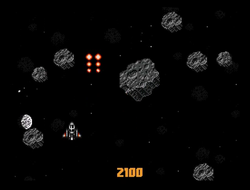 I really like the Asteroid level in this game - reminds me of Project X with Asteroids travelling at different speeds - clever use of sprites to get the most out of the limited functions of SEUCK. One of the limitations of the SEUCK was that you only had 2 frames of animation for directional movement. 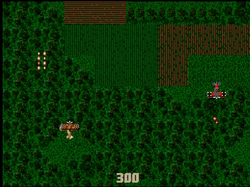 The use of a helicopter as the main sprite solves this problem as the kit allowed for more animation if you avoided the direction option. This enables to make the main sprite appear more polished. The other Raid games are also worth playing. The majority of SEUCK games were horizontal scrolling games - this makes a nice change with a single screen game mechanic. 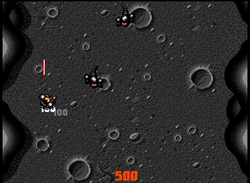 There were some tribute games made using SEUCK - not all were teribble - this game borrows heavily from the Alien Breed games and has capture the mood of the graphics well. 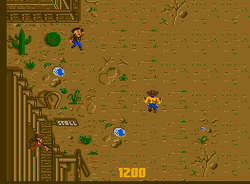 Original Arcade games also provided inspiration for SEUCK games - this game is a clear tribute to arcade games such as Gunsmoke. 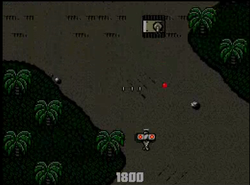 Similar to Air Ace - Bi-Plane shoot em up with good quality grahpics. 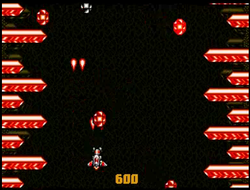 The creator of this game must of had lots of patience - attempting to use the alien pattern editor to create a parrallex scrolling effect. 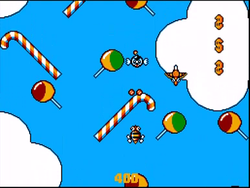 This is a great example of thinking out of the box - candy sticks floating in the sky as you control a bee like character killing cute enemies - definately stands out as unique style amongst the normal space / plane shoot em ups. 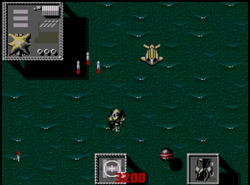 This game highlights the weaknesses of SEUCK - whilst it looks a favourable tribute to Xenon 2 - the lack of weapon upgrades - the ability to include a shop screen clearly show ths limitations of SEUCK. 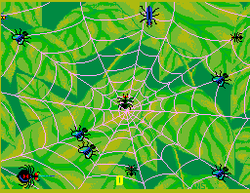 Disagree with the AmigaPd top ten SEUCK game list - then vote for your favourites below. Any classics missed off - then mention them in the comments section below.